When Is Waitangi Day 2020? Waitangi Day commemorates the first signing of New Zealand’s founding document – the Treaty at Waitangi in 1840. It is a public holiday in New Zealand on February 6 each year. Is Waitangi Day a Public Holiday? Waitangi Day is a public holiday. It is a day off for the general population, and schools and most businesses are closed. A haka is performed by Maori warriors as part of a Maori welcome or 'Whakatau'. 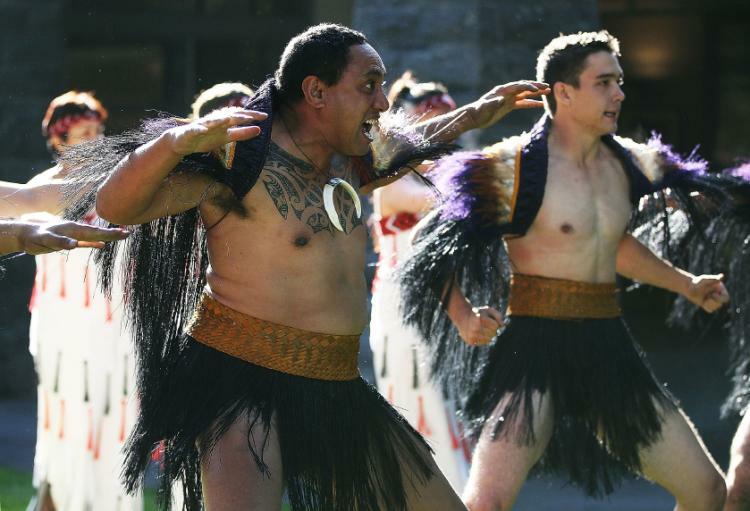 Māori cultural performances, speeches from Māori and Pakeha (European) dignitaries, and a naval salute are all part of the official Waitangi Day celebrations at Waitangi, New Zealand. Waitangi Day is also a time when people publicly debate on issues such as national identity and multiculturalism. Various activities and events are held at the Waitangi Treaty Grounds. It’s a day that bubbles with ceremonies, music, sports and fun. Waitangi Day itself has always involved performances and parades from the Royal New Zealand Navy and local cultural groups. Waitangi Day is a statutory public holiday in New Zealand. Schools, government offices and many businesses are closed. In 1840, representatives of the British Crown and over 500 Maori chiefs signed what is New Zealand’s founding document. The day was first officially commemorated in 1934, and it has been a public holiday since 1974. 'Te Whare Runanga', a carved Māori meeting house that commemorates the first signing of the Treaty of Waitangi. Carvings in the house were produced by the local Ngapuhi tribe, but the building is represents all Māori tribes. Ngatokimatawhaorua, one of the largest Māori waka (war canoe). It can seat a crew of up to 80 paddlers and 55 passengers.